On Monday night, the San Francisco 49ers will kick off Monday Night Football in style, hoping to scare the hell out of the Minnesota Vikings with their sick black alternate uniforms. This offseason, the 49ers unveiled alternate black uniforms and they’ll be wearing them for the first time in Week 1 against Minnesota. Matt Barrows of the Sacramento Bee confirmed from a team source the Niners would be coming out in primetime wearing the alternate uniforms. 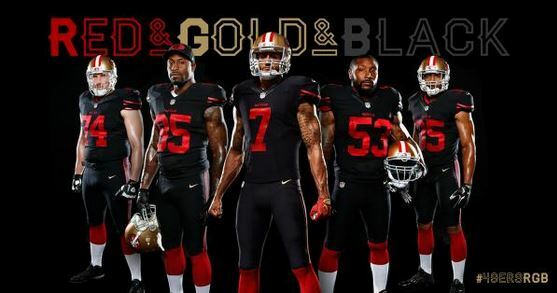 The alternates were spawned by several 49ers players that lobbied for a fresh take on the classic red and gold design, 49ers officials said.